Pharmacists (04 Vacancies) – Last Date 25 March 2019 (Raebareli, Uttar Pradesh), Indian Telephone Industries Limited recruits Pharmacists Posts. Candidates with 10th Passed, Diploma in Pharmacy experience can apply. In Category D’ scale-`4040-90-5120-95-6355, plus other allowances as applicable to other Employees in the Company with variable DA. 1. Only Indian nationals need to apply. Mere submission of application will not entail right for claiming appointment. 2. Educational Qualification, Age and Experience limit prescribed is as on the date of Advertisement. 3. Candidates having Post-Qualification Experience will be given preference. 4. Relaxation in Age and Experience may be considered at the sole discretion of the Management. Upper age limit may be relaxed for deserving candidates. There is no Age Bar for Internal Candidates. 5. Reservations for SC/ST/OBC (Non creamy layer) and Persons with disabilities (PWD) / ExServicemen and Economically Weaker Sections (EWSs) category exists as per Govt. of India Guidelines. Candidates belonging to OBC Category are required to submit latest certificate stating that they do not come under the purview of “Creamy layer’ from a competent authority in the prescribed format issued by the Govt. Of India (not more than 06 months old at the date of Advertisement). 6. The company reserves the right to consider only those candidates for Competitive Aptitude/Technical test/Group task who according to its decision rank high in terms of eligibility criteria. 7. Decision of the Company with regard to eligibility of Candidates will be final. Mere eligibility will not entitle any candidates for admission to selection. 8. Company reserves the right to fill all or partially or not to fill any of the posts. The No. of posts to be filled may decrease or increase depending on the actual / future requirements of the company. 9. Canvassing in any form will disqualify the candidature. 10. To and fro 2nd Class Train fare by the shortest route will be reimbursed to SC/ST & PWD Candidates from out-stations as per rules of the Company. 11. Applications with insufficient information / incomplete will be rejected. 12. The Applicants should apply through Proper Channel or attach hardcopy of NOC along with the Application Format. 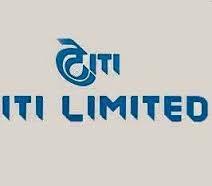 India’s first Public Sector Unit (PSU) – ITI Ltd was established in 1948. Ever since, as a pioneering venture in the field of telecommunications, it has contributed to 50% of the present national telecom network. With state-of-the-art manufacturing facilities spread across six locations and a countrywide network of marketing/service outlets, the company offers a complete range of telecom products and total solutions covering the whole spectrum of Switching, Transmission, Access and Subscriber Premises equipment.